There was a man who lived in a house that was situated on a piece of property surrounded by a large stone wall. This man lived in this house by himself for a very long time. One day he decided to remove the stone wall that surrounded his home. This was a huge challenge for this man because the wall that surrounded his home was a very high wall made of stones. Each day the man went outside and removed stones from the wall. He threw the stones in the ocean that was located behind his house. He thought this was convenient since with every lap of the ocean the waves carried the stones away. Every single day for weeks upon weeks the man removed stones from the giant wall that surrounded his home. The man’s neighbor (a curious, inquisitive one; you know the type) watched from his own house as the man toiled and sweated over the elimination of the wall. After watching the man for several weeks taking away bits and pieces of the stone wall that surrounded his home the neighbor decided to ask the man what was going on. “Hey! What are you doing?” yelled the neighbor. The man who was preoccupied with his wall removal continued to work. “I said hey! What are you doing?” The neighbor shouted again. The man, who suddenly heard his neighbor’s voice from across the way, stopped and look towards his neighbor. The neighbor, who was much older than the man, shook his head and began to laugh continuously for a moment. “What?” exclaimed the man who was very annoyed by the neighbor’s mockery. “You’re doing all of this hard work and you even don’t know why? Seems quite silly if you ask me.” The neighbor went back inside his own home. The man gave a dirty look towards the neighbor’s direction and turned to continue his work on eradicating the wall. 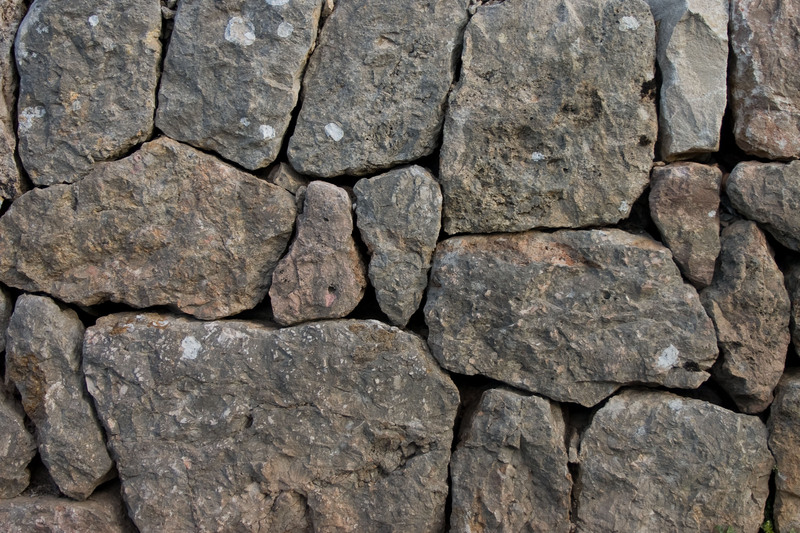 A few weeks went by and the stone wall continued to decrease in size little by little with every stone the man removed. The man worked long hours removing the wall; only taking short breaks for food and rest. Soon afterwards the wall was only one layer of stone that bordered the man’s property. The neighbor came out of his house again to call out to the man. The man stopped his toiling over the wall and looked towards the neighbor’s direction. The neighbor laughed endlessly as he did before and went back inside his own house. No response was heard from the neighbor. The man continued his work on the wall as he shook his head and furrowed his eye brows over the neighbor’s ridicule. After several hours the man removed the last stone from where the wall once stood around his house. He tiredly carried the last stone towards the shore and threw it into the ocean. The mas was exhausted beyond compare and surrendered himself upstairs to his bed. He closed his eyes and fell fast asleep. Whoosh! The man bolted up in his bed. Creeeeeeeeeek! The man frantically looked around and saw water seepig through the walls as the frame of his house struggled to hold itself together. He quickly jumped out of bed and ran to the window. Huge waves of water came tumbling towards his house and before the man could even comprehend what was happening the roof of his home flew off. He grabbed onto his bed post not knowing what else to do. “Help!” screamed the man as he held tightly to his bed post. The ocean waters spilled into his home with haphazard care; knocking out the walls of his house. As the salty sea rushed in, the man coupled up enough strength to jump onto his bed to use as a make shift boat. Waves of water pushed the bed-boat off the second floor and into a pool of ocean waves newly formed by the tumultuous currents. The man’s bed-boat floated along the salty waters until it came upon his neighbor’s property which rose higher than the sea. The man jumped off his mattress ride and clung to the sandy knoll at the foot of his neighbor’s property. The neighbor ran down towards the man and helped him to his feet. As the ocean continued it’s wild rage back and forth along the shore the two stood in awe at it’s expanse. “Are you okay?” the neighbor asked as he helped the man walk up the hill towards his house. “I guess now you know why.” The neighbor stated. “Now you know why the wall was there.” The neighbor said as he smiled at the man. The man stood back for a moment and thought about this. He knew his neighbor was right, although he didn’t want to admit it. The two men entered the neighbor’s house. The next time you think something in your life needs to be changed stop and ask yourself why do you want the change. Sometimes things are happening in your life because you need to learn from it, grow from it, or like the man in the parable, be supported by it. We may not like certain things in our life and we certainly have the power to change most of what we don’t like. However, be sure that the thing you want to change in your life is exactly what you want. Stop and ask yourself why do you want to change. You may just realize that you don’t really have to change anything because you are exactly where you are supposed to be and experiencing exactly what you need to experience. Gallery | This entry was posted in Short Stories and tagged Change, DPchallenge, Grow, Learn, life, ocean, parable, plan, problem solving, reason, stone, story, wall, waves, why. Bookmark the permalink.